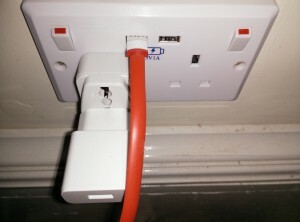 Charging smartphones and tablets is a daily task most of us will do now and if like me you own more than one device this can sometimes be a pain due to lack of socket space by the bedside. Due to charging devices constantly my bedside lamp has never really had the chance shine (no pun intended) but you get what I mean often something has to be disconnected in order for us to charge our devices. 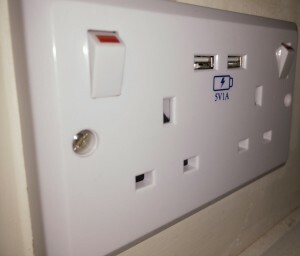 Well now we need not worry as Connected Essentials LTD have a wall plate that includes both 3-pin power sockets and USB slots. If you are purchasing a USB wall socket adaptor plate then make sure you buy from a reputable seller and it contains all the appropriate safety certification. 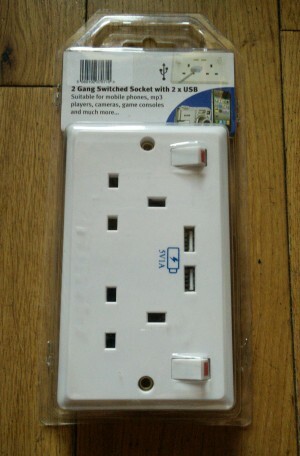 This Connected Essentials plate can be picked up directly from Amazon for £19.99 so not a huge expense to make some awesome home improvements. Installing these plates are pretty straight forward but please make sure you turn your house electricity off beforehand. 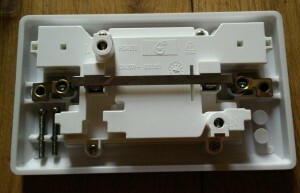 On the back of the plate all the wire positions are clearly labelled so its pretty hard to go wrong. 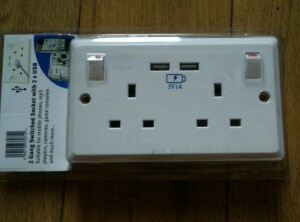 When fitted they look great and having the extra USB sockets is a blessing. As you can see from the picture below it looks so much tidier using the USB slot than having the One Plus One charger sticking out from the wall. If your looking to buy one then just click HERE. What do you think of these USB plates? Is it something you would use in your home? Let us know below.